The BBC Pure Hop Pellets increases the yield of hop volatiles, resulting in higher aroma and flavour. As a brewer, you can choose to create a hoppier beer from the same volume of hops. Or you can reduce the volume of hops you need to deliver the same hop intensity as before. If you’re looking for greater performance, particularly when it comes to dry hopping, the BBC Pure Hop Pellets is the next generation in pellet technology. 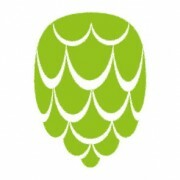 Ekuanot (formerly HBC 366) was commercially released in 2014 as“Equinox” by the Hops Breeding Company in Yakima, and subsequently renamed due to trademark issues. It has intense and unique fruity and citrus notes including melon, berry, citrus- lime, apple and papaya. Ekuanot also contains some spicy, green pepper note. This hop brand has high alpha acids content and high essential oil and is known for its vibrant yellow color during its early growth in the spring. For efficient provision of bitterness, the pellets should be added to the wort at the beginning or up to 15 minutes after the start of the boil. Utilisation of alpha-acids into beer depends on the boiling system and conditions and is normally in the range of 30% – 35%. Added late into the boil, utilisation of alpha-acids diminishes as the utilisation of the aroma improves giving a characteristic hop flavour in the beer. The quantity to be added is calculated using the alpha-acids content and the estimated utilisation. For aroma, the quantity to be added should preferably be calculated using the oil content of the product. Pellets can be dosed automatically. After years of research and collaboration comes a pellet specifically designed for high efficiency and heavy-use applications in both conventional and dry hopping applications. Developed in collaboration with Boston Beer Company, the BBC Pure Hop Pellets increases the yield of hop volatiles, resulting in higher aroma and flavour. As a brewer, you can choose to create a hoppier beer from the same volume of hops. Or you can reduce the volume of hops you need to deliver the same hop intensity as before. If you’re looking for greater performance, particularly when it comes to dry hopping, the BBC Pure Hop Pellets is the next generation in pellet technology. The BBC Pure Hop Pellet™ is a hop product added to the kettle, to the Whirlpool or for dry hopping to provide hop flavour. It is specifically designed for high efficiency and heavy-use applications in both conventional and dry hopping applications. Developed in collaboration with Boston Beer Company, the BBC Pure Hop Pellet™ increases the yield of hop volatiles, resulting in higher aroma and flavour. It provides improved homogeneity and better storage stability compared to raw hops. The proprietary pure hop process removes extraneous material, resulting in true hop flavour. The BBC Pure Hop Pellet™ is produced using a finer, more uniform grind than standard Type 90 pellets. A sub-zero process – milling and sieving takes place at approx. -35°C (-31 °F) – prevents hop resins and essential oils from oxidation. Supported by a long history of safe use in brewing, and in accordance with US FDA regulation 21 CFR 170.30(c) and 170.3(f), hop pellets are generally recognised as safe (GRAS).